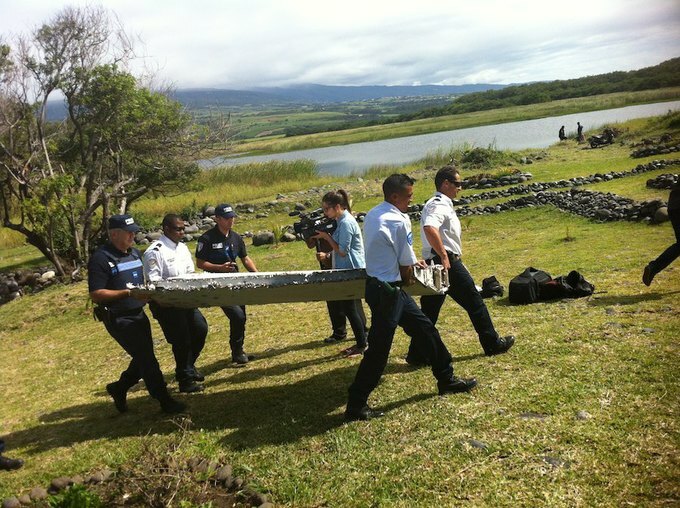 Has debris from Malaysia Airlines MH370 finally been found? Last year, Malaysia Airlines Flight 370, MH370 vanished without a trace while flying over the South China Sea. For weeks, people were captivated and appalled that a modern airliner with 239 people aboard managed to drop off the face of the Earth. Authorities searched the Indian Ocean fruitlessly and the airliner was declared lost. Today French blog Peuravion is claiming that debris has been found on the French overseas territory of La Réunion, an island in the Indian Ocean. By comparing the debris found to that of schematics for a Boeing 777, MH370’s airliner model, it appears to be part of the wing. La Réunion’s location in the Indian Ocean means an ocean current could have carried debris there. Could this be the first piece of concrete evidence for the most baffling modern airline disappearance? Maybe, but the debris could also belong to other crashed aircraft. Police are still investigating.